One of the reasons that English is challenging to learn to read is that 26 letters make 44 sounds! This means that sometimes letters combine to make sounds (watch the video 72 Phonograms, and get printable flashcards at printandpractice.com) In addition to that, there can be lots of exceptions, so the “rules” are more like guidelines. With a few exceptions, the 21 consonants make one sound, so an alphabet chart represents a lot of them. Things begin to get interesting with the vowels, which can be short, or long, or make new sounds. The first focus in learning to read is on the short vowels. Long vowels say the letter name, while short vowels say the sound. 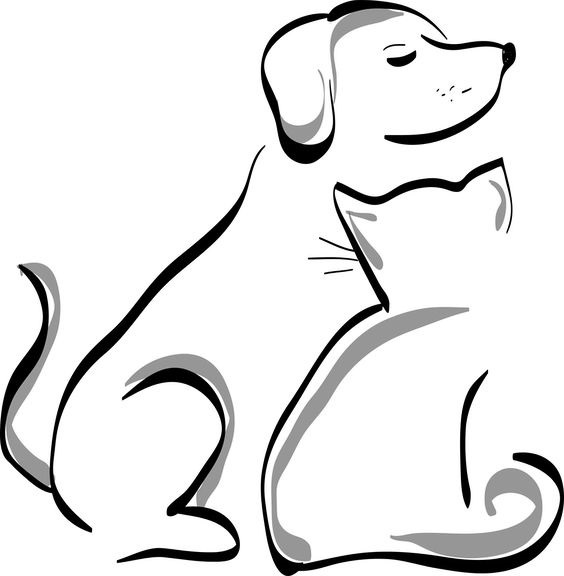 Short vowels are found in words with closed syllables, like those formed by a consonant-vowel-consonant known as CVC words (as in cat and dog). Next, learn about silent e; an e at the end of a word (except two e’s are like twins that often like to stick together) changes the vowel to the long sound. Continue with Bossy R: an r after each vowel changes the sound it makes. 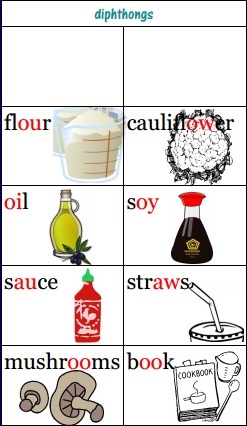 Vowels can also work together; some can make new sounds, and some (often) make a long vowel sound. Diphthongs are (mostly) vowels that work together to make (mostly) new sounds. One sound can be represented in different ways. Many of the diphthongs are like this: OU & OW make the same sound (although OW can also make a long O sound), as do OI & OY. AU & AW make the same sound as a short O. One letter or set of letters can make more than one sound. OO & OO is just one example! Once the diphthong patterns are learned, many of the remaining vowel teams are often (but not always) long. 2 letters that work together, some vowels work as a team. 2 letters can work together, and the first one likes to speak. They might be long (except the diphthongs! ), here are some you may have seen. This part of the chart includes Final Y, which can sometimes be a vowel that makes the long I sound, and sometimes the long E sound. Once again, one sound can be represented in different ways. When all of these phonics patterns are put together, the result is a one page vowel chart that represents many of the vowel sounds. 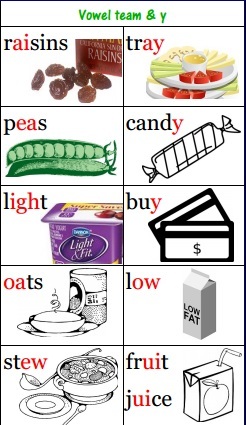 Download the Grocery Store Chart for free at the Super Tutor Tools store at Teachers Pay Teachers. 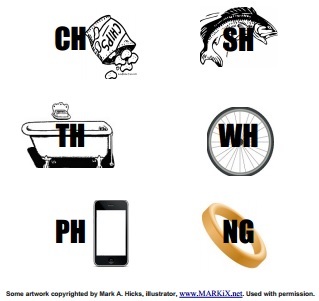 It is part of a Phonics Toolkit you might like too! You can also find free printable bookmarks and phonics pattern charts at this post about a Phonics Kit. Credits: Some artwork copyrighted by Mark A Hicks, illustrator, www.MARKiX.net. Used with permission. Another resource with the 44 sounds ( pdf) is available at uldforparents.com.